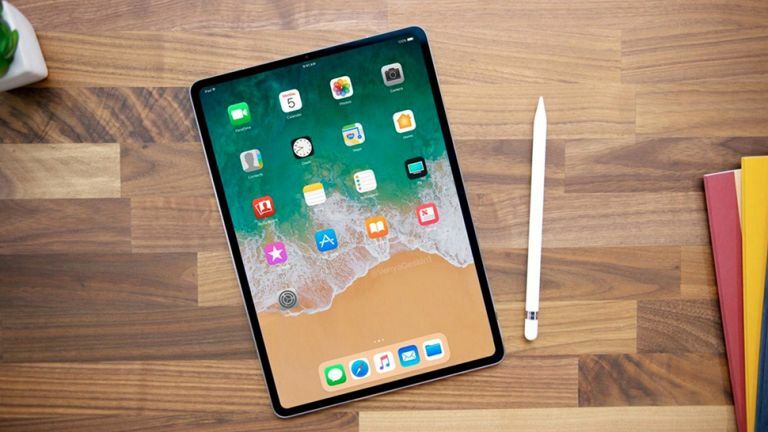 Apple has more iPad tablets in store for 2018, and if you want to know what's on the horizon then you've come to the right place – here we're collecting together all the news, rumours and leaks around the 2018 iPads to give you a good idea of what Apple has got planned. Based on what we know so far, it looks as though Apple might further diversify its more expensive iPad Pro lines after already unveiling a new, cheaper iPad. That means an Apple slate for everyone – whether you're a creative professional or a student. Read on for the full lowdown on what's coming. Apple got the 2018 iPad ball rolling on 27 March, using an education-focused event to show off an updated 9.7-inch iPad. The big improvement this year is support for the Apple Pencil, previously restricted to the iPad Pro line; apart from a processor bump, not much else changed from the 2017 edition. The entry-level tablet was knocked down to £319 in the UK and stayed at $329 in the US, with a $30 discount for those buying for education purposes. Does that mean Apple has forgotten about the iPad Pro line? Not a bit of it. The smart money is on a refresh happening later in the year for Apple's more premium iPad Pro line – remember we last saw updates to this model in June 2017. That would suggest June 2018 is likely to be the time when we see a refresh for the iPad Pros, though Apple's iPad launch schedule has always been more difficult to pin down than the one it has for its iPhones. The price shouldn't change too much from the current £619/$649 (10.5-inch) and £769/$799 (12.9-inch starting prices). As surely as night follows day, the 2018 iPads will get a nice little speed bump from the previous models. We've seen the iPhone X arrive with the new A11 Bionic chip, so that may well find its way into the new iPad Pros, and the entry-level 9.7-inch iPad has already been upgraded to the A10 chip. There had been talk of even cheaper iPads this year – specs and performance are less important in a tablet, especially at the lower end – but so far the cheapest iPad of 2018 costs the same as the cheapest iPad of 2017. Up at the more premium end, the iPad Pros, the suggestion from those in the know is that these iPads will follow the iPhone X in ditching the Home button and most of the bezels around the screen. That could lead to a bump in resolution (though not screen size) and the addition of some fancy Face ID unlocking technology up at the top of the display. However, Apple may well stick to LCD screens this year rather than making the jump to OLED (as it has on the iPhone X). Other than that, very little should change in the way of design – there are only so many ways you can tweak the classic iPad form factor, though a few millimetres of thickness might get shaved off here and there. At this stage the iPad design and specs are pretty familiar, and there aren't too many ways left for Apple to innovative. Once change we've already seen in 2018 is support for the Apple Pencil across every iPad, even the cheapest ones – the invitation for its 27 March event dropped a pretty big hint. We've also seen Apple unveil new software for teachers and students, including Schoolwork for managing assignments and hand-outs, and stylus support updates for Pages, Numbers and Keynote. And what of the iPad mini 4? There's a lot to like about Apple's smallest tablet, but it's getting on for three years old now, and Apple seems to have lost enthusiasm for this 7.9-inch screen size as its iPhones have grown bigger. Whether Apple will bring out a new iPad mini at a cheap, student-friendly price point, or ditch the smallest iPad altogether, remains to be seen. As we get closer to the middle of the year we might hear more about what Apple is planning for its iPad Pros, and we'll be sure to keep you updated. Keep your eyes on the Apple WWDC developer conference, which starts on 4 June, as there may well be some announcements or hints there.